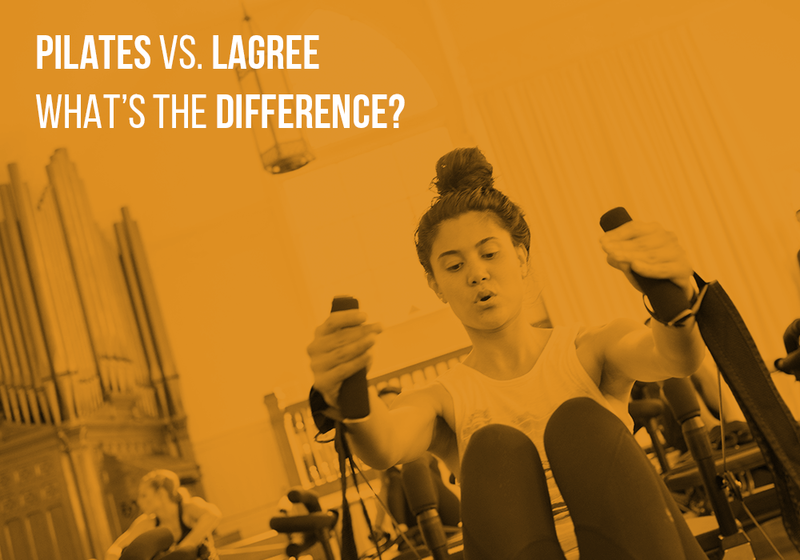 What’s the Difference Between Pilates and Lagree Fitness? Fitness lovers alike have been asking about what the differences are between the Lagree Method and traditional Pilates. 1>> The Machine: Many clients walk in for their first class thinking that the Megaformer is a traditional Pilates reformer. If that was you, don’t worry you’re not alone. The carriage mobility, handlebars, tension, and the long straps are similar on the two machines; however, the Megaformer has a wider and lighter carriage, adjustable handlebars for different exercises and modifications, shorter handles at the back for more movement versatility, and eyelets on the carriage for leg, core, arm and back exercises. Plus, the Megaformer was designed to create transitions in between each exercise (more on that later). 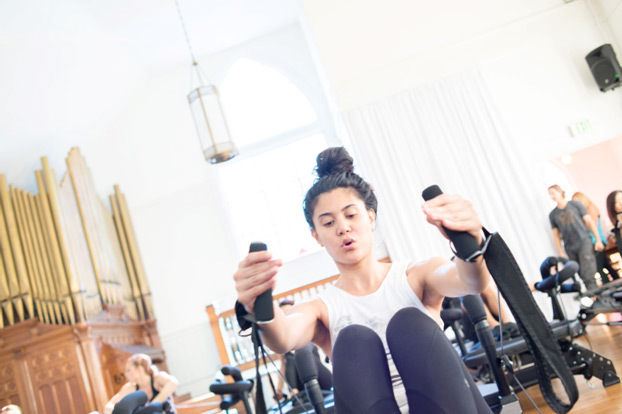 2>> Pace: Not unlike Lagree, in traditional Pilates you can expect a workout that targets the core muscles of the body (abs, obliques, lats); however, a Lagree class is based on slow controlled movements to work multiple muscle groups at once, whereas Pilates typically practices faster movements. When you engage more muscles in a short period of time, your body burns energy for longer (think of it like your body working out continuously, even after your workout is over). 3>> Transitions: In Pilates, you typically take breaks between each set of exercises (similar to a Yoga class). In Lagree you move quickly into the different moves that make up a class, even though the exercises are performed slowly and with muscle control. Shorter transition times lead to a quicker burnout and a shorter workout. 4>> Stability: With slower exercises in a Lagree class, you can expect to use your core stabilizers more. “Why would you want to do that?” Well, your core muscles are activated for better balance, and, as you age, maintaining good balance is essential for longterm health. 5>> Muscle focus: Pilates workouts work well to target specific muscle groups one at a time, while Lagree classes target many muscles at the same time. When you are in a lunge on the Megaformer, for example, you have the option of working both legs, your core, abs, and your arms all at once. Once you’ve built the foundational core strength, you can never plateau on a Megaformer, because there are many options to up-level the workout – i.e. bringing the hands above your head in a lunge to challenge your balance and stability. Ready to transform? Get your First Class for $20, here!